No matter which type of hunting you like the most, one thing is common and obvious: having the right outerwear may make a difference on your hunting experience and performance. Your gear has to help you remain silent, dry, concealed, still so that you can be successful in your hunt. Some hunting clothing performs better in a wet environment, while other is better for the summer, so it’s highly important to choose your hunting clothing according to the weather conditions as well. 0.1 What makes a good hunting bib? What makes a good hunting bib? There are many features that a good hunting bib should have. First of all, it should slide quickly and quietly, just like your comfortable trousers around the house. A good hunting bib needs to perform well in difficult conditions and has to meet the balance between heavy duty and lightweight. It has to give you freedom on the move, especially in the knee area and the back. An athletic fit is not bad at all for a hunting bib as you might not overlay every single time you go hunting. Even when you use hunting underwear underneath the hunting bib, this still is not supposed to feel bulky. It still has to let you move freely, with your mid-season base-layers on. For the winter time though, in order not to gain too much weight and end up feeling bulky, it’s better to go for an insulated hunting bib. This way you won’t have to overlay that much as your winter hunting bib will keep you warm also. 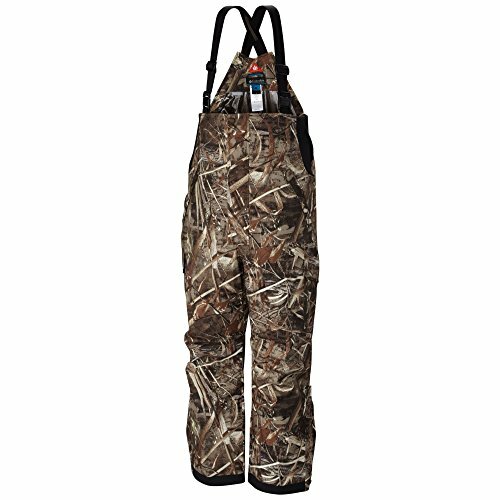 A good hunting bib is solid and comes with articulated knee and seat system. That means is great when it comes to intensive wear and brings comfort just as well. The hunting bib comes with lower leg zips to put it easy over your boots or tuck it into some higher boots. Many hunting bibs feature chest hand and thigh pockets which means multiple storage options for you, in a comfortable way. The larger and more expandable these pockets are, the better the options for storage. But, this is a personal liking also, as some prefer less and smaller pockets. The pattern of the fabric of your hunting bib is also a thing to look for as you might prefer a Camo, which gives you the perfect hide into surroundings. The efficiency of the Camo might be seen on how much you hunt, even though it’s not a sure thing. If you find a hunting bib with scent control feature, don’t sit on a fence and get it fast! It’s important to remain scent free when hunting so you can try all the tips to make your body scent disappear before hunting. Breathable, waterproof are also important features for your hunting bib. It has to give you also some protection against wind, even though the main protection comes from your jacket or the mid-layer hunting clothing. A good hunting bib takes great the elements and no thorns may tear it apart. And it’s able to stick around for some hunting seasons as it’s heavy duty and long lasting. Getting the right size for your hunting bib might is a tricky job as many manufacturers have various sizing charts, but some tips are more common. When you choose your hunting bib, it’s always wise to go up a size. Most of the hunting bibs are larger in some area, but they still need to fit your biggest part of the waist. 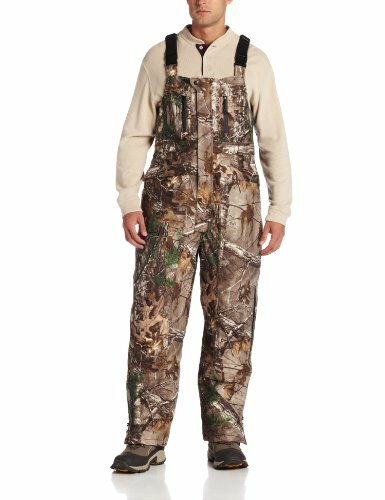 The bib has to be big enough to fit around the waist at the belly button, but many hunters size up several inches from their regular pant size when getting the hunting bibs. Take notice of the length of your hunting bib as the bigger it is, the longer it gets. This is why men with thick build buy hunting bibs shorter than their normal length. In the end, your hunting bib needs to give you a good overall fit. Add some 4 to 6 inches when go choose the size of the hunting bib so that you can have plenty of room for your underneath clothing. The same principle applies to the insulated hunting bib also. 1. 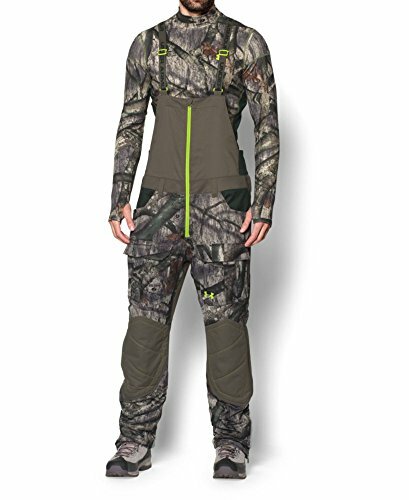 A good option for a hunting bib is the 10x Men’s Realtree Extra Waterproof Breathable Insulated Bib Overall. When it comes to the parts we didn’t quite appreciate, we can only mention that this is a long hunting bib, a bit roomy for any size you’d go for. 2. 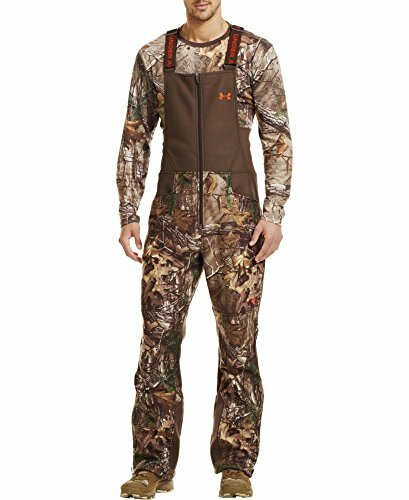 An amazing hunting bib for an amazing price considering its high capacity for performance, is the Under Armour Men’s UA Scent Control Barrier Bib. But, all in all, for the price, this is a great hunting bib, highly resistant and repellent to elements. 3. If you want an extremely lightweight, yet highly efficient hunting bib, the Men’s UA Storm Ayton Bib is a great option. Other than this, we can only conclude that this is a good hunting bib for the mild weather, flexible and highly resistant to various weather conditions. But, for the money you pay, you get a great, long lasting, warm and high quality insulated hunting bib from a respected brand. If you want your hunting bib to meet your highest expectations and then more, then go for the Onyx-Arctic Shield-X-System Men’s Arcticshield Classic Insulated Bib. As for the cons, we can only regret that this is for the cold weather only, and mention that its price is in the higher end zone. Other than that, no complaints on our part.